Buying a ready-made tool kit can be a great way to equip you with the basic tools needed to start making jewellery, or even replace tools you may have had in your workshop for some time. In our range of jewellery tools, for instance, we offer many kits to choose from which all have been put together by experts who know exactly what you are going to need. You can also expect a considerable cost saving when buying your tools as part of a kit as opposed to buying each item separately, so it’s well worth considering one of these kits if you have multiple products to purchase. But Which Jewellery Tool Kit Should I Buy? This is where it gets a little trickier! To help you with this difficult decision-making process we have put together the following handy YouTube video, which talks you through each of our jewellery tool kits piece by piece, allowing you to view each item much more closely before buying. As a rough guide we would suggest the basic Beginners Tool Kit for anyone curious about making jewellery, but is a little unsure. 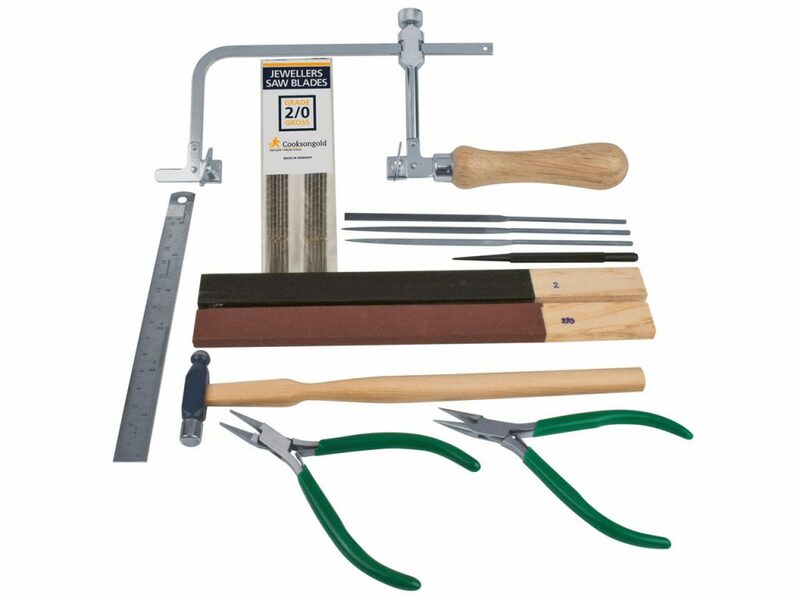 This kit will enable you to mark out, saw pierce and shape sheet metal and wire. It also contains a small jobbing hammer which could be used for riveting and other cold fixing processes. 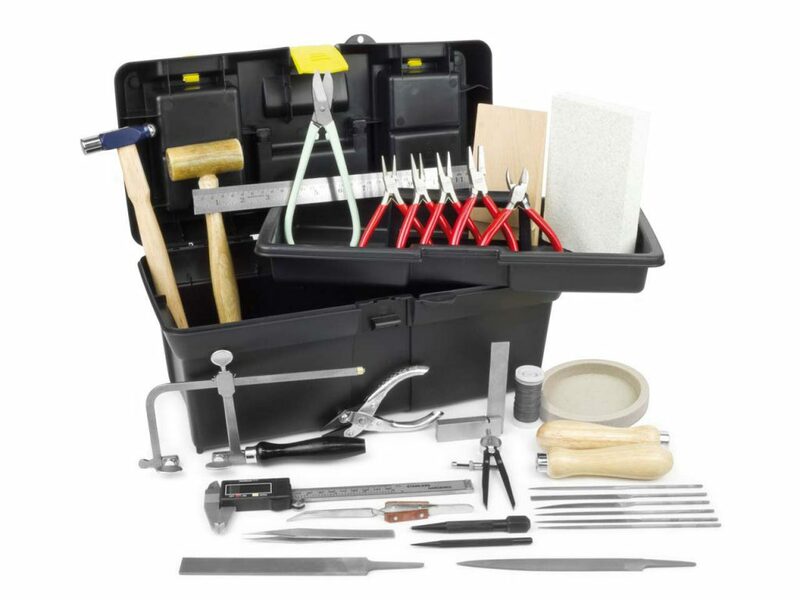 The next step up from the basic tool kit is the Student Starter Kit, which essentially gives you a full-size file and a toolbox in addition to everything contained in the beginners kit (with the exception of the hammer). Obviously, a larger file means you can work on bigger pieces and remove material more efficiently, plus you get the toolbox to keep everything in. 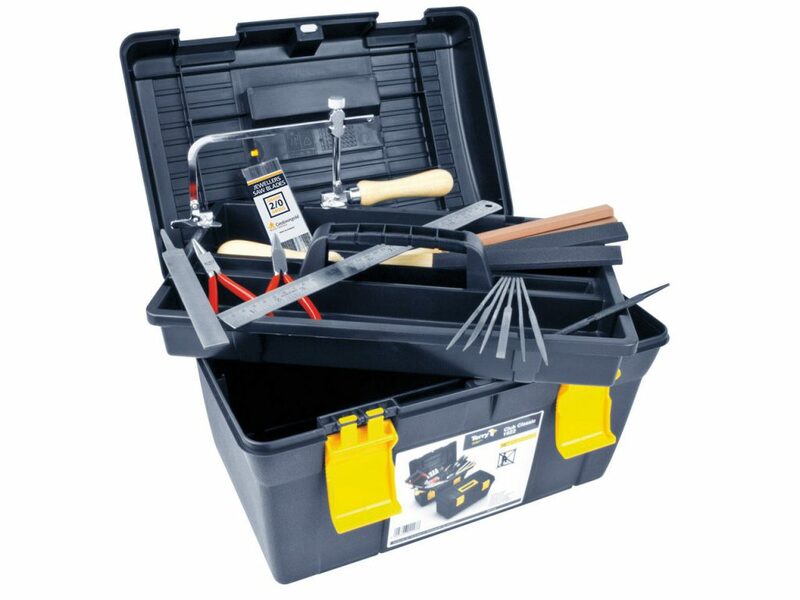 One step up from this student kit is the Workbench Tool Kit, which contains an additional bench peg and anvil – so it does indeed equip your workshop as well as your set of jewellery tools as the name suggests. It is the perfect kit for those who are new to jewellery making and are looking for a comprehensive set of essential tools to get started. Finally, the crème de la crème is the University Student Tool Kit which literally covers all bases, and includes almost everything available in the workbench tool kit along with additional hammers, tweezers, a vernier gauge and more. However, it is worth pointing out that whilst this kit includes soldering equipment too, it doesn’t contain the torch itself – so this will need to be purchased separately in addition to extra saw blades which are also not included. Whichever jewellery tool kit you decide to go for, you can be sure that each contains a set of high-quality tools and equipment for jewellery makers. Not only that, they are all conveniently put together in a handy kit so you can take the headache out of kitting out your workspace. Need to equip your workshop with the essentials for a particular jewellery making technique instead? 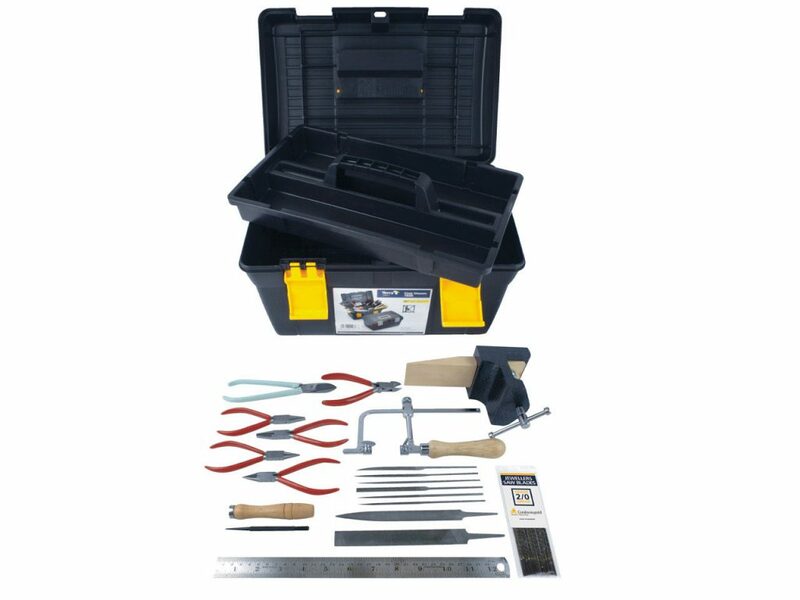 Our extensive selection of tool kits for jewellers also includes sets which are ideal for those who are looking for the tools required for soldering, polishing, beading and more – no matter whether you are a beginner jewellery maker or a more experienced jeweller who wants to refresh their used tools.